Personalised Canvases and prints make a wonderful bespoke gift for weddings, with the bride and grooms names and wedding dates and names and places personal to them for something to treasure forever. 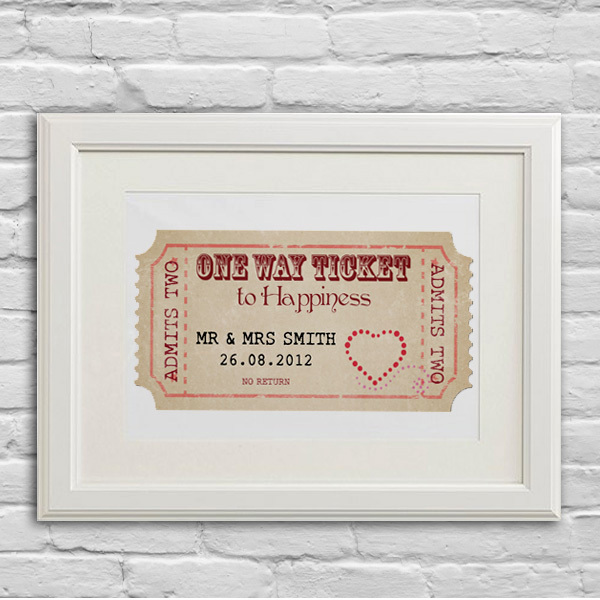 Our Vintage style 'Ticket to Happiness' Personalised Wedding gift art print makes an ideal wedding gift for the happy couple. 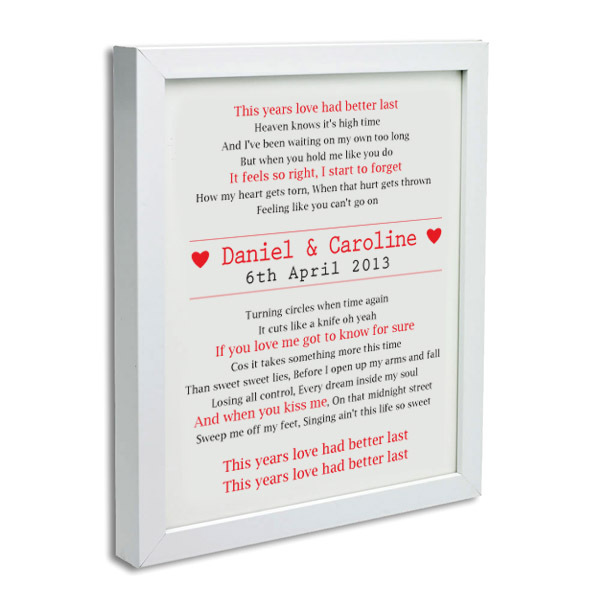 You can even have their First Dance lyrics on a personalised typography print to remember that special dance. 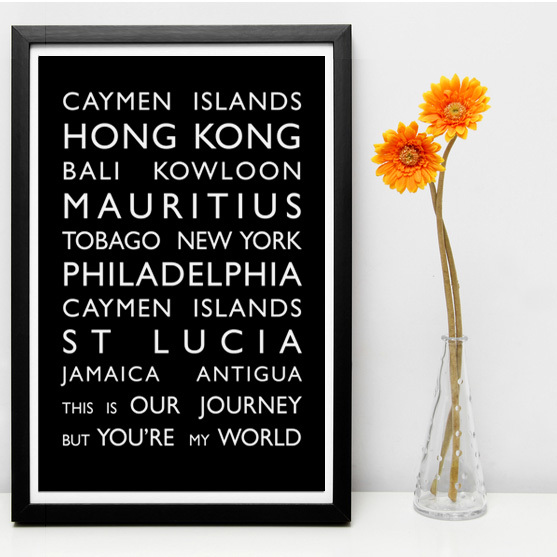 What better Anniversary gift to give your loved one than a Personalised Destination Bus Blind Canvas listing all those special names and places on a personalised canvas to keep the memories forever. Something for the little ones? Childrens personalised canvas art is a great way to brighten up their bedrooms, whether they like dinosaurs, pirates, fairies or cupcakes theres some personalised childrens artwork for all tastes and they make great birthday or christmas gifts. We Produce: Bespoke Destination Blinds, Personalised Christening Gift, New Born Baby Gifts, Personalised Bus Blinds, Personalised Children's Artwork, Personalised Wedding Gift Prints, Bespoke Wedding Gifts, Fathers Day gifts and much more the ideas are endless!